Today we’d like to introduce you to Kevin and Kristi Thomas. KKT Event Management is owned and operated by Kevin and Kristi of Surprise, Arizona. As the Managing Partners of KKT Event Management, Kevin and Kristi have extensive and varied experience in event management, meetings and conventions, tourism and destination marketing. Managing Partner, Kevin served as the National Event Manager for the Gold Wing Road Riders Association (GWWRA) for over four years. He also served over two years as the National Sales Manager for the Wichita Convention and Visitors Bureau promoting Wichita as meeting, convention, tradeshow and sports destination. He holds a Master’s Degree from Wichita State University focusing on Sports Administration and Sports Business. 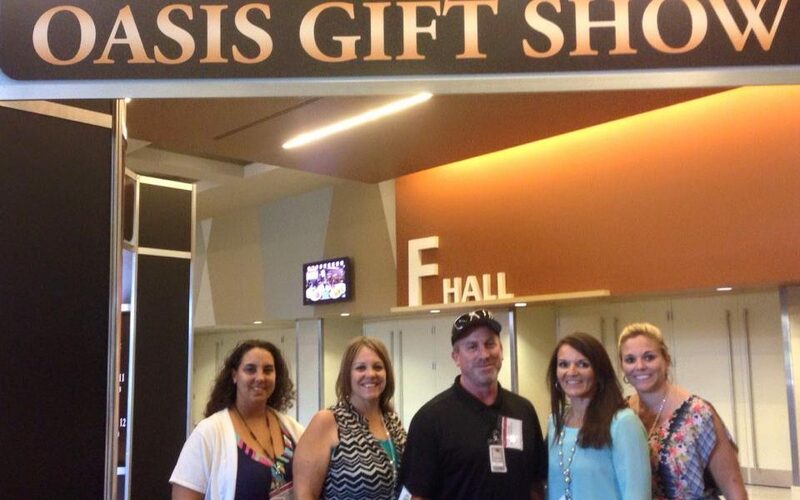 Managing Partner Kristi worked for the Organization of Associated Salespeople in the Southwest (OASIS) for over seven years including 15 shows as the Show/General Manager and thus has extensive and valued working relationships with the members, exhibitors and contractors of OASIS. Kristi holds a Bachelor’s Degree from Arizona State University in Recreation and Tourism Management. Realizing that Associations could reduce their overhead and streamline their operations by contracting their events out to a third party, Kevin and Kristi formed KKT Event Management in 2008 and quickly picked up both of the associations they previously worked for as their major clients, along with a few others. KKT Event Management now serves as the event management company for two major associations, the Organization of Associated Salespeople in the Southwest (OASIS), and the Gold Wing Road Riders Association (GWRRA). Since 2008, KKT has coordinated and managed an average of 4-6 events per year with attendance ranging from 1,000 to over 10,000. On average, these events vary in length from 1-4 days and generate room nights between 200 to over 8000. KKT offers full service event management including site selection, sponsor acquisition, exhibitor sales, marketing and promotion, graphic design, registration services, on-site management, and more. Kevin and Kristi currently reside in Surprise, Arizona with their two daughters – Tatum and Paige. There are always challenges when working with events so you have to be willing to adapt and think quickly to resolve issues as they arise. When producing large events in different states each year, you are constantly having to become familiar with different city and state regulations on taxes, permits, etc. Over the years, we’ve had to deal with power outages, major weather issues such as extreme wind, extreme heat, lightning, flooding, and more. While trade shows were booming in the 70’s and 80’s, they have changed a lot as we now live in the electronic era where you can order whatever you want on your computer and it will be at your door the next day. Still, many consumers and retailers do still like to see, touch, and feel products and meet face to face with suppliers even in this age of electronics. I think we’re known for our personal touch as we’re very hands-on in all aspects. Kristi is very much the ‘face’ of the company as she can constantly be found out talking to exhibitors or attendees and is very people oriented. Kevin is the ‘behind the scenes’ guy who handles the legal aspects, the graphic design and marketing, working with the suppliers, handling ancillary logistics such as parking, police and security, Fire Marshals, and those aspects. Together, we make a good team. In addition, we have 3 other full-time team members who handle sales and marketing, sponsor acquisition, and many of the other day to day operations. Phoenix Metro is a great place for events, with the year round sunshine and multitude of things to see and do. There are some great venues including the Phoenix Convention Center, the University of Phoenix Stadium, the Fairgrounds, Westworld, and the numerous hotels, resorts, and other smaller facilities, there are plenty of options. There is a rumor about the city tearing down the South Building of the Convention Center, which is the best option for many of the locally hosted shows due to its lower costs and easier access, so it will be a shame to see that go away. Address: 15591 W. Yucatan St.